ARE YOU A BLOGGER WHO WANTS TO DRIVE MORE TRAFFIC TO YOUR SITE? DO YOU WANT TO INCREASE YOUR EMAIL LIST? OR….. DO YOU WANT TO MAKE EDUCATIONAL PRODUCTS FOR YOUR KIDS OR STUDENTS? 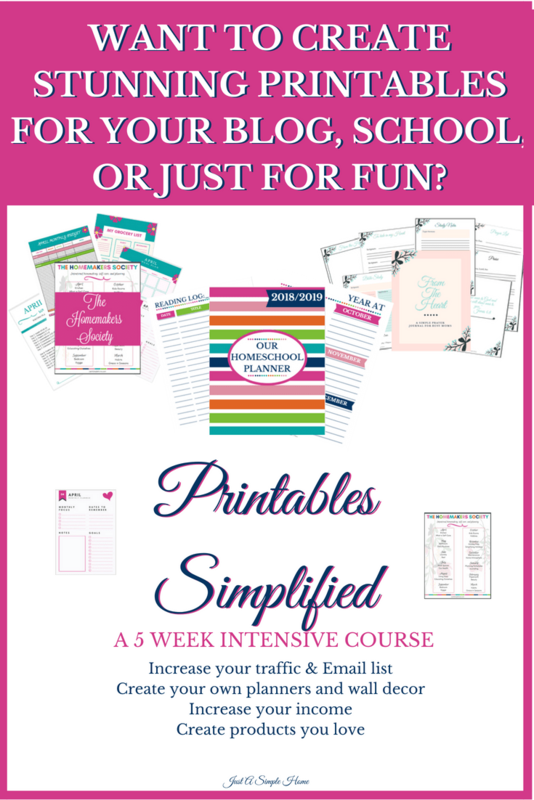 This new PRINTABLES SIMPLIFIED Course is a 5 week intensive training course designed to teach you how to create your own printable products for your home or business. I use a combination of Publisher, PowerPoint and Canva for my printable products. I want you to be able to create printables for free, using software you already have, so this course will focus on using Canva, with a bit of PowerPoint. You can take the skills you learn in this course and use them in any program you wish.